Can be trimmed up to 1" for uneven floors and still fit standard cabinets. 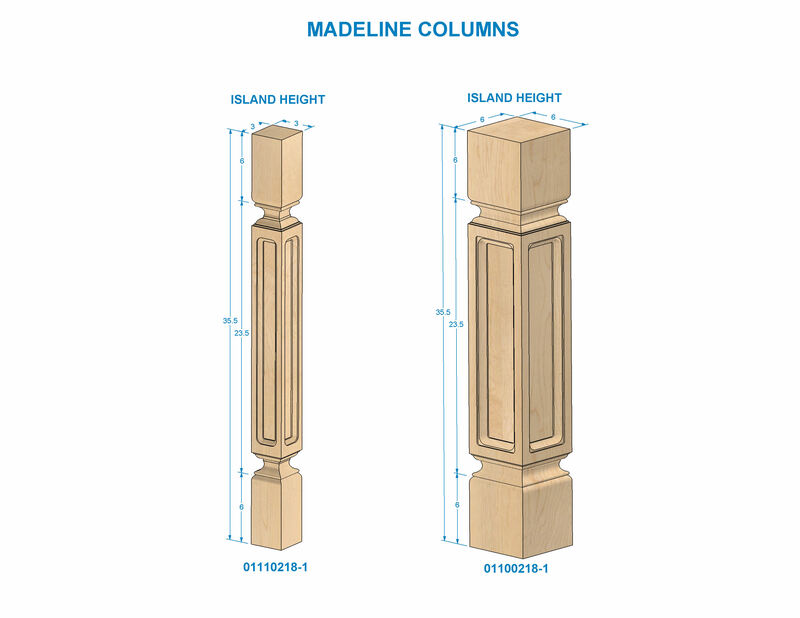 Modify the length, look, and application of your Madeline Column by choosing one or more Add-Ons below. Make a statement with our beautiful Madeline Traditional Column. Offered in two sizes to accommodate any size kitchen. These oversized columns are perfect for large kitchen islands or dining tables.